Regarded by many bartenders to be the champion of classic cocktails, The Last Word dates back to 1916, but a signature ingredient has its own unique history. The cocktail, like many of the era, fell out of favor as the 20th century marched on. For decades, the only record of the original recipe was in Ted Saucier’s 1951 cocktail manual, Bottoms Up. However, in 2004, Seattle bartender Murray Stenson, then of the Zig Zag Cafe, stumbled across Saucier’s recipe and tested the classic cocktail on his customers to great success. From there, the drink’s resurgence spread to Portland, Oregon, before jumping coasts and becoming popular in New York City’s cocktail bars. A short time later, this revived classic spread to menus across the country. The key to the drink is Green Chartreuse, a French herbal liqueur with a history even more colorful than the cocktail. The original recipe was created in 1605, intended as a medicinal elixir. Today, the spirit is made from 130 plants, the identity of which are only known by two of the Carthusian monks of La Grande Chartreuse, which makes it one of the most closely guarded secrets in the spirits world. In 1903, the French government exiled the monks to Spain and nationalized the Chartreuse distillery in an attempt to produce the spirit themselves. Unable to accurately recreate the recipe, the nationalized Chartreuse folded in 1929. The distillery was bought and gifted back to the monks, who returned to France and retook rightful stewardship of the spirit. 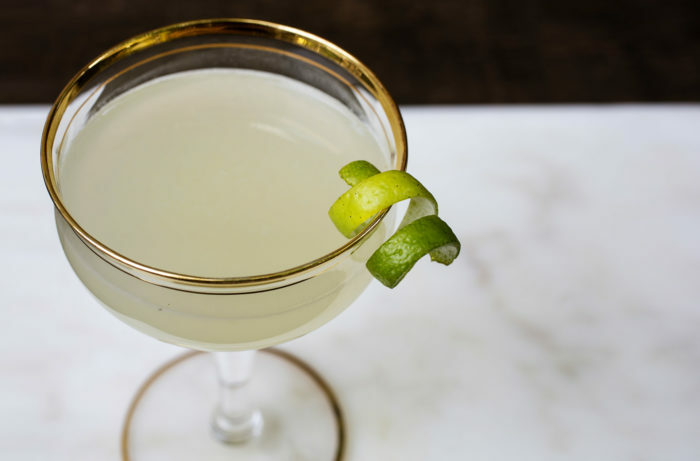 The Last Word is a fairly simple cocktail to make. It uses only four ingredients that are measured in equal parts. It’s also a fantastic option when entertaining, as its three spirit-based ingredients can be mixed together ahead of time. Just add fresh lime juice before serving. Combine all ingredients in cocktail shaker filled with ice. Shake vigorously 10–15 seconds until well chilled. Double-strain through fine mesh strainer into chilled coupe glass or Nick & Nora glass. Garnish with lime twist.